The DorobekINSIDER is taking a break for a few weeks. I am fortunate to be traveling to the Galapagos Islands for a dream trip. 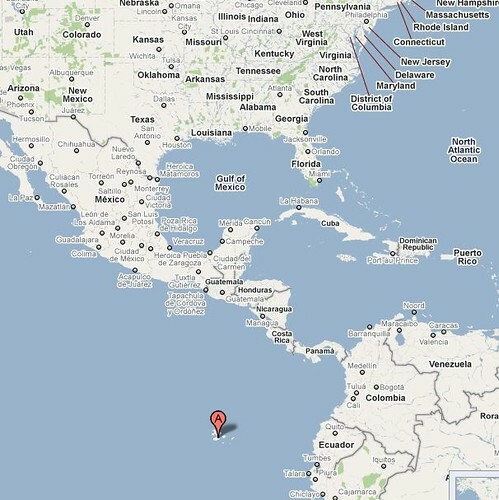 My guess is that I will be pretty much disconnected from the grid — I don’t think there is much Internet connection out there in the Galapagos Islands. That being said, I’ll post my experiences — and photos of Blue Footed Boopys — when I return. I’m actually guessing that one of the difficult tasks will be unplugging. The great thing about what I do is… I love what I get to do each and every day. So unplugging will be something of a challenge. I’m guessing that going from being hyper-connected to being dis-connected will take a few days. I’m sure I’ll get used to it. I’ll be back briefly for the Federal 100 Awards Gala — I’m beyond honored to be on that list, so I just couldn’t miss the gala. I know the vetting that goes into selecting the 100 people, and the fact that the judges selected a working journalist — I’m just beyond honored. So I’ll be back — and then disappear again for a few days. On the trip, I’m going to re-read Daniel Pink’s Drive: The Surprising Truth About What Motivates Us in preparation for April 2nd’s Federal News Radio Book Club discussion. I posted a discussion forum on GovLoop. As you have thoughts about the book, I hope you’ll share what you think this means for government. As always, thanks for reading. I’ll be back. The Galapagos Islands are the most incredible living museum of evolutionary changes, with a huge variety of exotic species (birds, land and sea animals, plants) and landscapes not seen anywhere else. There Internet cafes all around the Island of Santa Cruz.